"The story of James Porter is one of the saddest in the history of our church..."
In 1676 Robert Porter (James’s grandfather) sat in the Presbytery as a representative elder from the congregation. He was the son of Alexander Porter (whose wife’s maiden name was Sims)and was born at Tamna Wood, near Ballindrait school house. James was the eldest of eight children, four sons and four daughters. His father, Alexander, was a farmer and owner of a flax-scutching mill on the river Deal, on its north bank some distance up-stream from the ancient bridge which gives the village its name. “He was a man of small stature, and I believe, of little education, but, I have been told, was superior in manners, appearance and intelligence to his class in that country generally, from whence he received the “sobriquet” of “The little gentlemen”. His means were very limited as he was unable to give his children much education. He died early in life leaving a large family and was soon followed by his wife. At the time of his death he resided at a place called Tammanay Wood” (by James Porter, 1844). When a boy, James Porter, was distinguished for the rapidity for which he acquired knowledge and for the extent of his attainments. At the time the Rev Robert Law, a preacher who had turned teacher, was conducting a classical school at Ballindrait and it is almost certain that from him young Porter acquired a good part of that knowledge for which he was distinguished in his youth. He developed a strong liking for what were called in those days the “natural sciences” or natural history. After leaving school he worked in his father’s farm and mill. Having a taste for mechanics he soon acquired skill sufficient to make most of the repairs necessary in the machinery. During the long winter evenings the young Porter was accustomed to read books and probably he continued his studies in classics. Soon after this marriage Mr Porter opened a school in Drogheda and at the same time continued his own studies with diligence. About 1784 he entered the divinity class of Glasgow University, his previously acquired attainments being accepted by the Presbytery as equivalent to a degree in the arts. He got his degrees at Glasgow in the manner that the great number of Presbyterian clergymen at that time got theirs. He taught school during the summer months and in the winter went over to Scotland. After studying for three sessions he was licensed in 1786 or 1787 by Bangor presbytery to preach the gospel. Greyabbey, the name as applied to the village, is certainly not a misnomer. It is the greyest place we have ever seen – grey walls, grey paint, grey stucco, grey stone, grey pebble-dashing: there is not a splash of colour anywhere. Even the sunlight seemed unable to relieve the drab greyness. There seemed to be a grey cloud over all the neighbourhood – as well there might – and the intensity of the silence of its main street could almost be felt. Here and there a grim-faced woman – like another Fate – stood in her doorway knitting, and at the street’s eastern end, where a man filled a white enamelled bucket at the village pump, the complaining of its rusty handle was the only sound to be heard in all the place. 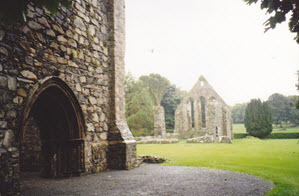 To the right of the main street, the top of the road leads to the ruins of the great Cistern Abbey, founded in the year 1193 by Afreca, wife of John de Courcy, and daughter of Godfred, King of the Isle of Man. Our way lay to the left at the top of the main street, and this led us to our destination, the house – it is a remodelled one – that was once the manse in which lived the Rev. James Porter. The story as we had it was that he was hanged outside the manse door, but there is not a tree about the place and no bush in front of his door that would be high enough on which to hang a leprechaun. In this congregation Mr Porter’s stipend was about 50 pounds a year besides which he had 12 pounds of bounty which was raised in 1792 to about 32 pounds annually. This slender income he tried to increase by cultivating a farm. In this occupation his mechanical tastes came into operation and he endeavoured to introduce improved agriculture implements. Having mechanical tastes, he fitted up a workshop, and constructed models of improved farming implements. At the same time his duties were never neglected. He gathered an extensive library, he bought or constructed the instruments necessary for performing physical experiments and above all he attended most diligently to the duties connected with his office as minister of Greyabbey. By this and other means he did much to promote the physical wellbeing of his flock, to whom he was in all respects an assiduous pastor. He was said to be an Arian, but there seems no evidence of his attachment to a special school of theology. At first he did not embark on the stormy sea of politics. His tastes were more literary and scientific than political, very often he delivered lectures on Natural Philosophy and performed experiments by way of illustration. These lectures were adorned with such a native simplicity of eloquence as riveted the attention of his audience and rendered his efforts exceedingly popular. Among his audience were sometimes members of Lord Londonderry’s family. Happy for James Porter had he kept to literature, science and theology and left others to struggle in the arena of politics! Being kind hearted and unselfish he was pained of the oppression of the people among whom he lived. 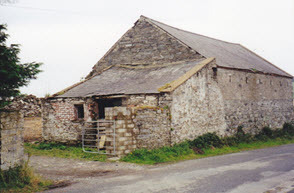 At that time tenant farmers had many grievances of which the present generation know nothing. Landlords fixed whatever rents they chose to impose on their tenants who either had to pay what was demanded or to give up their holdings. In like manner every farmer no matter what might be his religion was compelled to pay further to the episcopal rector of the parish. It seems that the Presbyterian farmers of Ulster at this time did not complain so much of oppression by the State as of oppression by those who claimed the fruits of their labours and administered justice among them. It is stated on what seems to be good authority that Mr Porter never became a United Irishman nor did anything more unlawful than express his sympathy with those who suffered political and religious oppression. This he did by attacking abusers in the press, on the platform and sometimes even in the pulpit. At that time there were neither police nor stipendiary magistrates and consequently the sentence of order and the local administration of justice was in the hands of landlords’ agents and realtors who were often misguided informers. Mr Porter sympathised strongly with the sufferings then endured by the Presbyterian farmers and he applied the lash of satire to some of their oppressors and others in stories signed “Billy Bluff” which appeared in the Northern Star (Belfast 1796). In this story of Ulster life the Rev. Cleland, who built Stoormont, is referred to as “Noodledrum”. When attacking the system that prevailed he spoke in bitter terms of certain persons by whom that system was represented in his own neighbourhood “Lord Mountmumble” was the Earl of Londonderry, (a model landlord, he endowed schools, built chapels and houses for tenants. Despite his good works hardly anyone liked him and made himself one of the most disliked men in Irish history. He committed suicide in mysterious circumstances.) “Squire Firebrand” Mr Montgomery of Greyabbey, and “Billy Bluff” Billy Lowry, bailiff and spy on Mr Montgomery’s estate. Lord Londonderry recognised his own likeness and waited for revenge. Although Mr Porter joined the Volunteer Movement in 1778 he took no prominent part in it and he never became a United Irishman. He was not publically known as a politician until after the suppression of the Volunteer Movement by the Convention Act of 1793. One effect of this arbitrary measure was to come into alliance with the secret society of United Irishmen those who, like Porter, were in favour of parliamentary reform and Catholic emancipation, but were now debarred from the holding of open meetings for the agitation of constitutional reforms. In 1794 he became a contributor to the Northern Star, founded in 1792 by Samuel Neilson. For this paper he wrote anonymously a number of patriotic songs which were afterwards reprinted in “Paddys Resource”. In 1796 he contributed a famous series of seven letters by “A Presbyterian”. The first, dated 21st May was published in the number for 27-30 May. They were at once reprinted, with the title “Billy Bluff and Squire Firebrand”, Belfast 1796. This admirable satire deserves the popularity which it still enjoys in Ulster. 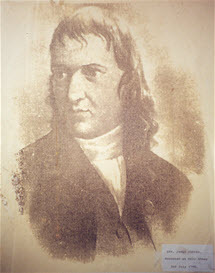 The original of “Billy Bluff” as William Lowry, bailiff of Greyabbey estate, “Squire Firebrand” was Hugh Montgomery of Rosemount, proprietor of the Greyabbey estate. 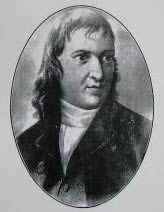 Theobald Wolfe Tone, a young Dublin barrister had just published “An argument on Behalf of the Catholics of Ireland”. This pamphlet had greatly impressed the Belfast men and though Tone and Drennan were jealous of each other and Tone complained that he had little influence in the society’s affairs, it was he who gave the movement its name (replacing Drennan’s Irish Brotherhood) and he who is forever associated with it in the popular mind. The society was initially open and constituted, agitating for a reform of the Irish parliament and the removal of the Penal Laws against Catholics, though many of its members felt, like Drennan, that this could be achieved only if Ireland was entirely separated from England. Even before they founded their political club, the Belfast radicals had been planning to launch a newspaper to disseminate their views. In September 1791 a committee of Belfast businessmen met to outline the preliminary steps. Robert Caldwell, Samuel Neilson and Robert Simms were deputed to write to prominent liberals in various parts of Ulster, asking them to recruit subscribers, and twelve partners raised the initial capital of £2,000. Again all of them were Presbyterians, and their vocations indicated the level at which the Society of United Irishmen then found support. 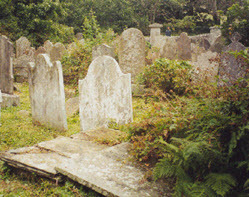 William Tennent, John Boyle and the brothers Robert and William Simms were merchants, William Magee was a printer and bookseller, Samuel Neilson and John Haslett were woollen drapers, Henry Baslett was a shipbroker, William McCleary, a tanner, Robert Caldwell, a banker, Thomas McCabe, a watchmaker and John Robb, a clerk. Later, in 1796, Porter, whose name was now a household word in Ulster, went through the province on a lecture tour. (Belinda Mahaffy says that he was such a good speaker and so handsome that he was the equivalent of a “pop star” and drew huge crowds wherever he went). His subject was natural philosophy; he showed experiments with an electric battery and model balloons. He had previously given similar lectures in his own neighbourhood, and there is no reason for supposing that he now had any object in view apart from the advancement of popular culture, though the authorities suspected his lectures were the pretext for a political mission. He had written for the Northern Star with the signature “A Man of Ulster” and he began another series of letters on 23rd December 1796 addressed, with the signature of “Sydney”, to Arthur Hill, second Marquis of Downshire. In these he attacked the policy of Pitt with extraordinary vehemence, and the publication of the paper was for some time suspended by the authorities. Meanwhile, on Thursday 16 February, the government fast-day of thanksgiving for “the late providential storm which dispersed the French fleet off Bantry Bay”, Porter preached at Greyabbey a sermon, which was published with the title “Wind and Weather”, Belfast, 1797. This, which was perhaps the most remarkable discourse ever printed by an Irish divine, is a sustained effort of irony, suggested by the text “Ye walked according to….. the prince of the power of the air”. (Eph ii 2) Its literary merit is considerable. He kept clear of everything forbidden by law. 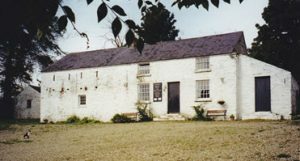 He knew well that he was obnoxious to the local authorities and when the rebellion of 1798 broke out he was a marked man; a large reward was offered for his apprehension and he retired to a place of concealment to the house of Johnson of Ballydoonan, two miles from Greyabbey, from which he ventured to visit his family at night. 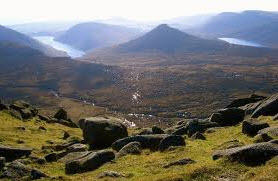 Afterwards he sought concealment in a cottage among the Mourne mountains on the verge of his parish. There is no evidence of any knowledge on his part of the plans of the insurgents; it is certain that he committed no overt act of rebellion, and all his published counsels were for peaceable measures of constitutional redress. “My father, conscious of having committed no offence did not attempt to fly. He remained with his family. To his and my mother’s great surprise, and to her dreadful consternation he was arrested a few days after and placed with many others who had already preceded him, in the market house of Newtownards, then converted into a prison. He remained for a short time in complete suspense, wholly unconscious of the charges which might be made against him. He did not however continue long uninformed of the measures it was intended should be taken against him. My mother, whose sagacity and good sense you may perhaps remember, said from the moment of his arrest that she was certain the hatred of Lord Londonderry would cost her husband his life. The first official notice he had of his offence was in the written charges preferred against him, and on which the young officer who handed it to him, with an air of perfect nonchalance, and humming a loyal tune as he turned on his heel and left him, told him he must prepare for trial. This document is a correct specimen of the humanity and tenderness which then prevailed in Ireland and, I believe, is unique in its kind. Perhaps no man was ever tried on charges so vaguely and informally prepared. Lord Londonderry, General Nugent and Co., Atherton ought all three to have been hanged on the same tree for such a mock-trial and real murder. As soon as James Porter read it, he wrote a letter to the commanding officer begging to know what offence he was charged with. He hoped it would be so specified that he might learn with certainty what he was called on to meet. He protested his innocence, affirmed he could disprove and allegation, if he knew it beforehand, and could have the aid of authority to summon his witnesses. No answer was returned to this fair and proper request, nor the slightest notice taken of it. 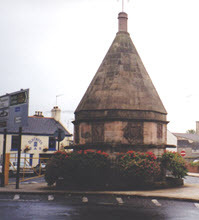 On the following day (30 June) Porter was taken under guard and conducted before a court marshal consisting of the officer commanding the dragoons at Newtownards, two captains and four subalterns. To his dismay he perceived that the Earl of Londonderry had taken his seat among them and he found, as the trial proceeded, how potent was his influence and how fearfully it was brought to bear upon him. The first accurate information he had of the crime alleged against him were the questions put to the witnesses. They were two in number. They deposed to the same facts with perfect precision to the minutest circumstance, and from their oaths he learned that his offence was that at the head of a body of rebels he had stopped a King’s messenger. He was charged with being “in divers Treasonable Rebellious and Seditious acts contrary to His Majesty’s peace, his Crown and Dignity”. Captain Matthews of Inshargy informed the court that he had sent his servant, George McChesney, from Portaferry at about 6 am on 10th June with a letter to Colonel Stapleton at Newtownards requesting reinforcements. He did not meet his servant for two days, when he learned that he had been stopped at noon near Newtownards by Rev. Porter who took him to a plantation and demanded his letter. He was held two hours. Porter had the letter sent to a captain of the rebels. McChesney then stated that he had a letter for Captain Fowler, delivered it and was given a reply to give Colonel Staplton. 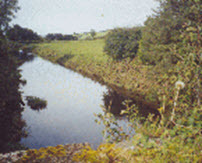 He could not find him, so he went to Killinatirny bridge between Greyabbey and Newtownards. Here he met Rev. Porter who took hold of his horse and led him to where he was forced to hand over his papers. He was kept in confinement in Greyabbey. Astonished, confounded at this unexpected charge, his presence of mind did not abandon him. He proclaimed in most energetic terms his innocence and complained of the surprise such a course of proceeding had produced. He demanded time to procure evidence to prove the falsity of the charge – or to so explain the circumstance as to take from him any imputation of criminality. “Gentlemen: During the course of this mock trial I was repeatedly interrupted when putting questions to that self-convicted witness, who stands before you to swear away my life and the lives of other men, to save his own. And I do most solemnly appeal to you as to the dreadful injustice of passing sentence of death on such evidence. You were much disappointed when the post-boy could not identify me, and he was the only person who could recognise the individual who committed the offence. But, because there was a large reward for my apprehension, you were determined you would find a person who should accomplish your purpose, although at the expense of violating everything sacred in a court of justice. Else why put me on my trial and give a verdict against me on the sole testimony of a renegade and notorious paid informant? (James Porter, his son) He was ordered to withdraw, and was taken back to a place of confinement. In a few minutes after it was announced to him that he was found guilty and that he would be executed in sight of his own meeting-house on the third ensuing day. Nothing now remained for him but to prepare to die, and as his life had been without reproach, his death was without fear. A stranger could not have discovered from his countenance or language that anything extraordinary had occurred to him. But the event overwhelmed my mother with grief. She, however, on the succeeding day of that on which the sentence was pronounced rallied a little and determined to make a last effort to save her husband’s life. He told her that it would be unavailing and he only yielded his consent to her attempting it in pity to her agonised feelings. She did not give up even then, and at once set out in a carriage for Belfast, again accompanied by all her children, in the hope of speaking to Nugent directly. “I was then twelve years of age’, wrote James Porter. “I remember the rain fell in torrents. We were well drenched, and I recollect the effect produced on me by the heads of the condemned rebels which were stuck up in Belfast. Those of Dickey and McCracken were among them.” His mother was sent away from Nugent’s door, with the declaration that there was no answer for her. On the morning of the day which terminated my father’s life (2nd July 1798) he got into a carriage at the hour of 11 o’clock and was conducted by a guard of cavalry from Newtownards to Greyabbey where a temporary gallows was erected on a small hill which overlooked the meeting-house (not only in sight of the meeting house – but with a refinement of cruelty such as fiends only could have imagined – commanding on the other side a near view of his cottage where his wife and children were waiting in a horrible state of agony for the lifeless body of a husband and a father. Whether Lord Londonderry or Atherton suggested this worse than Boeotian torment on a dying man I do not know, I will not attribute it to either, for fear of depriving the other of the credit) where he had officiated as a pastor for ten years. My mother rode with him to the place of execution. During the ride the conversation turned on her future course in life. He directed her to send his sons to America as soon as they were of age to leave her and told her that he had had too many evidences in his life of God’s providence to doubt that she and her daughters would be protected and provided for. Arrived at the fatal spot my mother kissed him for the last time. 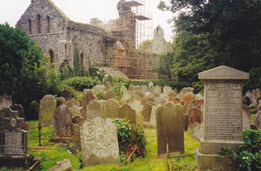 “He walked to the gallows with a firm step and dignified bearing singing the 35th Psalm and praying earnestly.” (Rev Bewglass) There was scarcely any one present, but the military, at the execution. It was intimated to the tenants of Lord Londonderry that it was his Lordship’s wish they should attend, but I believe nothing but force could have drawn fifty men in the Barony to have witnessed a spectacle which so shocked public feeling. The account, therefore, of his conduct in his last moments could only be gathered from the soldiers. They, I have been told, were much impressed by his firmness and resignation. It is stated he prayed for his family, asked forgiveness of his God for the sins he must have committed in life, declared he forgave his enemies and hoped God would do so – he then gave the fatal signal and was launched into eternity. His struggles, I have learned, were severe, and his death must have been painful. Before long he was discovered and arrested in June 1798 and taken to Belfast, but removed to Newtownards for trial by court-martial. The charge against him was that he had been present with a party of insurgents who, between 9 and 11 June, having intercepted the mail between Belfast and Saintfield, Co. Down, had read a dispatch from the commanding officer at Belfast to a subordinate at Portaferry, Co. Down. Mr Porter solemnly denied the charge. The evidence against him was given by two people, one an informer (a United Irishman, who had turned informer), and the other a man who could not even identify him. Porter’s cross-examination of this infamous witness was interrupted. He made an impressive appeal to the court, affirming his innocence, and referring to his own character as that of a man “who in the course of a labourious and active life, never concealed his sentiments”. On the unsupported evidence of this wretch Porter was condemned for a crime that he never committed. He was sentenced to be hanged and quartered. Even then his wife did not relinquish hope. She was told by the military authorities that Londonderry could suspend the execution. Accompanied by her seven children, the youngest 8 months old, she made her way to Mountstewart to beg her husband’s life from Lord Londonderry who possessed the power of suspending executions and who was then at his family seat not far distant. Londonderry’s daughters had attended Porter’s scientific lectures; and one of them, Lady Mary Elizabeth Stewart, then labouring under a fatal disease and soon to be numbered with the dead tried with tears to persuade her father to grant Mr Porter a reprieve, but all in vain. The wound inflicted by “Billy Bluff” and “Lord Mountmumble” was too deep to be healed and the tears of a dying daughter. Lord Londonderry permitted a clergyman of the church into which he had been baptised himself and with which he was still connected to be punished for a crime of which he was innocent. Tradition has it that Mrs Porter waylaid his lordship’s carriage, in a vain hope of prevailing by personal entreaty, but Londonderry bade the coachman “drive on”. The sentence, however, was mitigated by remission of the order for quartering. Miss Stewart, overwhelmed with grief, conveyed the sad news to Mrs Porter, and Mrs Porter to her husband, who remarked “Then my dear, I shall sleep home tonight”. ‘The place chosen for his execution was selected, in a spirit of fiendish cruelty, unnecessarily wanton, and outrageous to the feelings of the family, and the congregation of the unfortunate Christian minister. 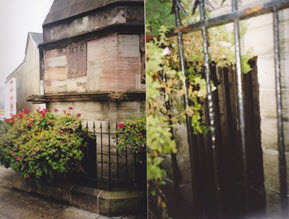 A local carpenter was forced to build a scaffold on a green knoll, between his dwelling and the meeting house, and in full view of both, and there on the 2 July 1798 James Porter was hanged for the penalty of a crime that he never committed in order that the private spleen of a petty tyrant might be gratified. It is reported that the members of his congregation were forced to witness the hanging. My thoughts were to conquer and gain just applause. Sacred to the memory of the Rev James Porter Dissenting Minister of Greyabbey who departed this life July 2, 1798 aged 45 years. 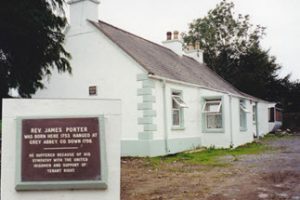 James Porter’s eldest, Alexander was born in 1786 in Armagh. He was educated at Strabane, was only 11 years of age when his father was hanged. In June 1798 he carried the flag of the United Irishmen at the battle of Ballynahinch (12th June 1798) in County Down. In the battle he had many narrow escapes and the flag was shot to pieces. When the United Irishmen were defeated there, he escaped from the battlefield. He made his way to the home of his father’s cousin, Andrew Stilley of Ballindrait, (now Mr George Gibbons’ farm) who sheltered him. But after a time, he was recognised. He was then hidden by a neighbour, a tailor named Donald McGinley from Guystown. When things quietened down a bit, in 1801, a Porter uncle came with his younger brother James and took them off to America, and sent them to high school and later to university. (by Belinda Mahaffy) (The uncle (James?) Brought to USA 2 sisters, 2 nephews as well as Alexander and James. He became a member of the House of Representatives in 1816-18, Associated Justice of the Supreme Court 1821-33 and then established “Oakland” plantation where he raised cane sugar, imported cattle, maintained a race course and stables. He was a Governor of Louisiana, and became a member of the US Senate in Dec 19, 1833-37 and was re-elected in 1842. He died on 13th January, 1844 (aged 58) at his plantation, Oak Lawn in the State of Louisiana, after years of failing health. April 9, 1844 The remains of the Honourable Alexander Porter which were brought from his late residence in the Steamer Westwood, were, on Sunday last, committed to the tomb in the cemetery near the city. A procession was formed at the Wharf and proceeded to the grave where a brief but impressive discourse was pronounced by the Rev. Dr. Edgar. The remains of this distinguished man now rest in peace beside the body of his wife who died in this city some twenty-five years ago. Alexander married Susan Massengill and had 7 children – James A., Matilda, Penelope, Jane Eliza, Alexander M., William, and Robert M.
James became Attorney General for the State of Louisiana. (see Appleton – Encyclopaedia of American Biography 1888). He acquired a large sugar plantation. He had one daughter, Mary, who died at Oxford on 29th December 1927. • Rebecca, Alexander Porter’s sister married Mr Allison. Of Porter’s five daughters, four married. The girls were so pretty that they attracted attention wherever they went, although they tried to keep incognito. In addition everyone knew them as the daughters of a hero and star. • Ellen Ann married John Cochrane Wightman, Presbyterian minister of Holywood. • The second, Matilda, married Andrew Goudy, Presbyterian minister of Ballywater. 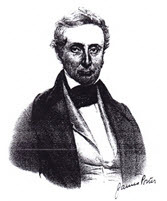 They had two sons and a daughter; Alexander who was born near Ballywater in February 1809 and died in Dublin on 14th December 1858 was one of the most brilliant and trenchant debaters in the Presbyterian church in Ireland in the last century. Stories of his wit are still told in the North West. He took a leading part in the Courts of the Church for many years. His elder son, Henry, was Regius Professor of Civil Law in the University of Oxford and the younger son Alexander, has filled the office of Reader of Slavonic languages in the University of Cambridge. 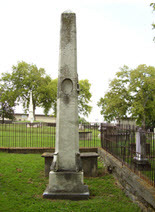 His daughter, Emily J., died in Bath. “The Rising in Ireland in 1798 was the struggle of serfs to gain admission to God’s daylight. It was a glorious struggle and as a lad I was in the thick of it at Ballynahinch, where I bore the green banner of liberty with its golden uncrowned harp. We honour those who fell in battle and died for Ireland. But in my sober opinion now, if the Society of United Irishmen had maintained its inception command not to have recourse to open rebellion, the cause of liberty could have been brought to the doors of Westminster to the shame of that Parliament into granting the parliamentary reforms so many died for, but were achieved later by the sheer force of the clamour of Ireland’s great general public and their able advocates” (Sean MacLoisigh) (Colin J. Robb, “Judge Porter, in Sunday Press 2/6/1957). • The sixth, Eliza died as a child.